"This is a day I've been looking forward to for two and half years." Those words were said by Steve Jobs on January 9, 2007, the debut of the very first iPhone. But that's also how I feel today, August 8, 2018, the debut of Magic Leap One. In some ways, I was early to Augmented Reality. I made my first AR project on iOS in 2014, long before ARKit existed. But in most ways, I was late to AR: the first AR device was made by one of my heroes, Ivan Sutherland, just a few years back — in 1968. Until May of this year, all of my work in AR has been on mobile AR and trying to make mobile AR feel more immersive. simply because none of the heads up displays were good enough. That changed in May, when I first started here at Magic Leap, and got my hands on the Magic Leap One. For the past three months, I have seen the inner workings and launch preparations happening within the company for the past 3 months. There is little I can say, as I've signed my soul away through NDAs. But I can say it has been incredible to see the thought and work that has gone into this first device. Today's launch feels historic: the beginning of the next age of computing. The Mac brought the age of desktop computing. The iPhone began the age of mobile computing, and the Magic Leap One will begin the next era. 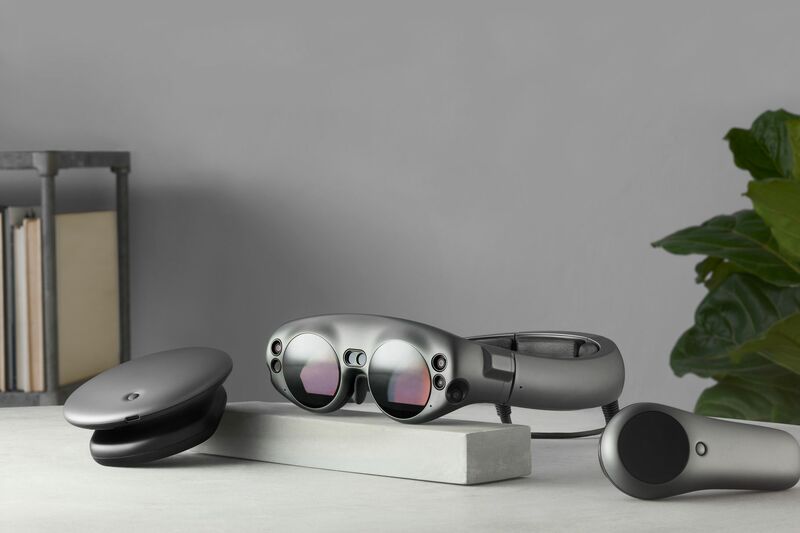 There are two ways to think about Magic Leap One, in the short term and in the long term. Taking the short term view, there is only one thing to say: the Magic Leap One is real, and it's spectacular. Taking the longer term view, from a perspective where AR/MR is ubiquitous, it might be best to repeat the words of Alan Kay in 1984. At the introduction of the very first Mac computer he said: "Well, the Mac is the first personal computer good enough to be criticized." That analogy works well for the Magic Leap One and the future of Augmented Reality. For decades, our digital content has been trapped in tiny, 2D rectangles called screens. Finally, the digital world can be free. PS: I am obligated to state that I am currently employed by Magic Leap, but the opinions here are my own. Also, these opinions may not be retransmitted, reproduced, rebroadcast, or otherwise distributed or used in any form without the express written consent of the NBA. PPS: I was employed by Magic Leap when I wrote this, but I am currently not employed by Magic Leap (I was an intern).